A pre-arranged funeral plan is a good thing. If you aren’t comfortable coming to the Funeral Home, I can come to you. A pre-arranged funeral plan can stop when all of the questions are answered and there’s no obligation to pre-pay, although there are some advantages if you do. 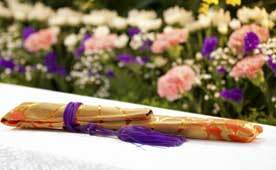 Many folks pre-plan their funerals so that we have the statistical information we need and to make it easier for their family by making their wishes known. Pre-planning a funeral does not cost anything, it only involves gathering information that will make things easier for your family when you die. Regardless of your age, this is a good step to take. If you would like to pre-pay your funeral expenses, you will be protecting yourself against the rising costs of funerals. Pre-paying a funeral means that you contract and pay for certain goods and services at todays prices and then when you die, your family will not be charged any extra for those goods and services, even if the price increases. As long as the invested money is used to pay funeral expenses, the interest that has been earned is not subject to income tax. When you pre-pay your funeral expenses, your money is invested in your name and just as a bank account, your money is insured so you will never lose it. If you decide after a few years that you want or need your money back, you can get all of it back plus all of the interest that it has earned. If you are the owner of a pre-arranged funeral and wish to transfer it to the Blenheim Community Funeral Home, it is as simple as visiting us with your existing paperwork and making your wishes known. If you have Power of Attorney for someone and your wish is that his/her pre-arranged funeral be transferred to the Blenheim Community Funeral Home, it is as simple as visiting us with your power of attorney and existing paperwork and making your wishes known. While some Funeral Homes may charge a cancellation fee when you transfer your pre-arranged funeral, we do not. 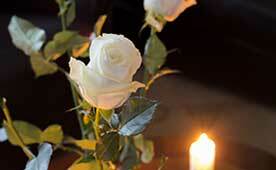 In fact, if you are charged that fee by another Funeral Home, we will reimburse it to you. For information on pre-arranged or pre-paid funerals, don’t hesitate to contact us. If you are interested in discussing or learning more about pre-arrangements, please fill out the form below and a representative will contact you to set up a meeting. You can also fill out the additional information in the following form to help us assist you.